TORONTO, Jan. 21, 2019 /CNW/ – Khiron Life Sciences Corp. (“Khiron” or the “Company“) (TSXV: KHRN), (OTCQB: KHRNF), (Frankfurt: A2JMZC), an integrated medical cannabis company with its core operations in Colombia, announced today that the Company has closed the previously announced MOU with Dayacann, holder of Chile’s first medical cannabis cultivation license. 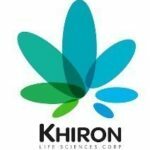 As the dominant medical cannabis company in Latin America, this agreement expands on Khiron’s multi jurisdiction cultivation strategy, securing access to cannabis cultivation for the Company’s use in Chile, participation in clinical trials, and access to commercialize products to meet the needs of a market of 1.8 Million patients across the country. As previously announced on September 27, 2018, by entering into an MOU with Dayacann, Khiron identified its intent to operate in the Chilean market with all applicable regulatory approvals and cultivation capacity, to participate in clinical trials and to develop and distribute medical cannabis products in Chile. The Company has now completed an agreement with Dayacann to deliver on this strategy, encompassing clinical trials, cultivation and the commercialization of Khiron products to serve the Chilean market, all under an initial 2-year agreement, which gives the Company access to a cultivation capacity that can meet the needs of more than 45.000 patients annually. This agreement is subject to TSX approval. Chile is located on the western portion of South America and has a population of 18 million people. With a GDP of over US$24,000 per capita, Chile has the strongest economy in Latin America and is considered the most stable and prosperous nation in the region. The market has an established cannabis culture and represents a medical cannabis market of 1.8 million potential patients (Source: Quintiles IMS). Chile was the first country in Latin America to adopt legislation to allow the cultivation of cannabis for medicinal purposes. Dayacann is a joint venture entity established by Fundacion Daya and its Australian partner AusCann Group Holdings Ltd. Dayacann has been cultivating for 2 years and holds the only medical cannabis cultivation license to be issued in Chile. This press release may contain certain “forward-looking information” and “forward-looking statements” within the meaning of applicable Canadian securities legislation. All information contained herein that is not historical in nature may constitute forward-looking information. 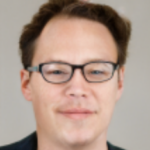 Forward-looking statements may be identified by statements containing the words “believes”, “anticipates”, “plans”, “intends”, “will”, “should”, “expects”, “continue”, “estimate”, “forecasts” and other similar expressions. Forward-looking statements herein include, but are not limited to, statements regarding the final acceptance of the TSXV and the commencement of sales in Mexico. Readers are cautioned to not place undue reliance on forward-looking information. Actual results and developments may differ materially from those contemplated by these statements. Khiron undertakes no obligation to comment analyses, expectations or statements made by third-parties in respect of Khiron, its securities, or financial or operating results (as applicable). Although Khiron believes that the expectations reflected in forward-looking statements in this press release are reasonable, such forward-looking statement has been based on expectations, factors and assumptions concerning future events which may prove to be inaccurate and are subject to numerous risks and uncertainties, certain of which are beyond Khiron’s control, including the risk factors discussed in Khiron’s Annual Information Form which is available on Khiron’s SEDAR profile at www.sedar.com. The forward-looking information contained in this press release is expressly qualified by this cautionary statement and are made as of the date hereof. Khiron disclaims any intention and has no obligation or responsibility, except as required by law, to update or revise any forward-looking information, whether as a result of new information, future events or otherwise.